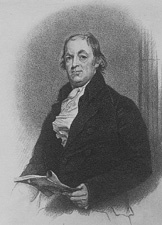 ROSS, James, a Senator from Pennsylvania; born near Delta, Peachbottom Township, York County, Pa., July 12, 1762; attended a classical school near Delta and later became an instructor of Latin in what is now Washington and Jefferson College, Washington, Pa.; studied law; admitted to the bar in 1784 and commenced practice in Washington, Washington County, Pa.; delegate to the State constitutional convention in 1789 and 1790; elected as a Pro-Administration (later Federalist) to the United States Senate in 1794 to fill the vacancy caused by the Senate declaring the election of Albert Gallatin void; reelected and served from April 24, 1794, to March 3, 1803; served as President pro tempore of the Senate during the Fifth Congress; moved to Pittsburgh in 1795; unsuccessful candidate for governor of Pennsylvania in 1799, 1802, and 1808; resumed the practice of law; died in Pittsburgh, Pa., November 27, 1847; interment in Allegheny Cemetery. American National Biography; Dictionary of American Biography; Brownson, James I. The Life and Times of Senator James Ross. Washington, Pa.: Observer Job Rooms, 1910.